Recreational vehicles or "RVs" are fun, but they can turn dangerous or lethal in the blink of an eye. 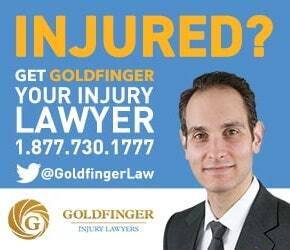 The personal injury lawyers of Goldfinger Law have represented drivers and passengers of Snowmobiles, ATVs, Dirt Bikes, Scooters, Mopeds, Quads and other RVs. These vehicles are normally driven off-road, on frozen lakes, on tracks or trails which may not be properly maintained. RVs don't come with air bags or side air curtains like cars. They can also reach very high speeds. Poor tracks, combined with high speeds, combined with little safety equipment is a recipe for disaster. Goldfinger Law has long supported local community initiatives to get children to wear helmets while riding bikes. We have helped raise money in Toronto, London, Peterborough, Kitchener, Guelph, Newmarket, Orangeville, Orillia, Barrie, Richmond Hill and Oshawa. The same rules and publicity raised for helmets in bike riding campaigns needs to apply to all RV riders. Regardless of the pace the RV is travelling, helmets need to be worn. One missed turn, one mistake and the rider and passenger can be sent flying in the air. RV accidents can be devastating, if not catastrophic. RV accidents can result in traumatic brain injury, acquired brain injury, broken bones, herniated discs, post traumatic stress, depression, anxiety, chronic pain, loss of limb or other devastating personal injury. RV accidents can change an accident victims life and result in quadraplegia or paraplegia. This will require 24/7 attendant care and even may require the accident victim to live in an assisted living or long term care facility until their injuries have better stabilized. 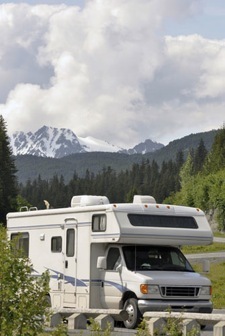 There are normally insurance issues surrounding RV accident claims. Sometimes, people don't think to insure their RV, or their RV insurance has expired. Goldfinger Law has know how and the experience to deal with these complicated coverage issues to ensure that you get the benefits and compensation which you and your loved ones deserve as a result of an RV accident. RV accidents involve a degree of car accident claim law and accident benefit law. A properly insured RV driver will be entitled to no fault accident benefits through their car insurance company. This means that a properly insured RV driver ought to be entitled to attendant care benefits, income replacement benefits, housekeeping benefits and medical rehabilitative benefits such as massage therapy, physio therapy, chiropractic treatment and other treatment not covered by the OHIP system. In addition, the auto laws of the threshold and the statutory deductible will apply to RV accident claims in Ontario. These laws are very complicated and constantly changing. Goldfinger Law is on the forefront of these changing laws. Our lawyers in Toronto, London and Peterborough understand how devastating RV accidents can be and how to get our clients the most out of their claim. If you have been hurt or injured in a RV accident, the first thing you need to do is seek medical attention for your injuries and contact the police to have your claim investigated. Then contact Goldfinger Law so we can provide you with a free no pressure assessment of your claim. We recommend that you take photos of the damage to your RV, photos of the area where the accident happened, along with photos of your injuries so that your claim is properly documented. We would be pleased to point you in the right direction so that you don't get taken advantage of by an insurance company. We would be honored to assist you in recovering top level compensation for your claim. 5.0 "If I needed a personal injury lawyer again, I would get Goldfinger Law right away"